This sweet dish is rich in nutrition as well as taste. 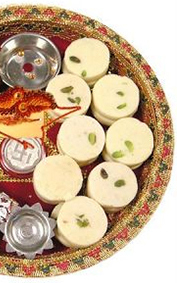 Anjeer Dry Fruit Barfi has the magic of relishing your taste buds and also keeping you energetic. This dish is easy to prepare at home and requires only a very little time. 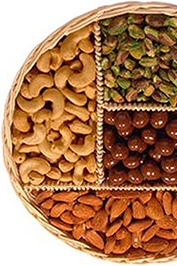 Follow the simple steps to get the best Anjeer Dry fruit Barfis made at home. Step1: Soak the figs in two cups of water for almost 4 hours. Step2: Drain the water and pour some hot water in order to make the puree of figs. Step3: Place a thick bottom vessel on stove and simmer the fire. Add the ghee. If you want less amount of ghee, you can reduce the quantity. Step 4: Add the puree and stir it well until the excess moisture dries off. Step 6: Finally add the powdered cardamom and again mix well. Stir continuously till the mixture losses its stickiness to the vessel. Step 7: Take a square tray and apply ghee evenly. Step 8: Pour this mixture to the tray. Cover with a silver warq (optional). Step 9: After cooling down, carefully cut into pieces and serve. You can also mix dates with this barfi if you wish.